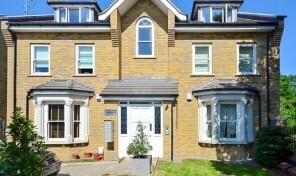 Urban Life Estates are an innovative, professional, and independent estate agency based in Tottenham, North London. We specialise in Residential and Commercial Sales, Lettings, Mortgages, Architecture and Surveying in and around the London area. We are dedicated to offering the highest standards of service to our clients and aim to create a long lasting and fruitful relationship. Whether buying or selling a property, renting or managing properties, our highly experienced team can help your next property venture become a smooth and successful one. When Most Estate Agencies are interested in closing a deal, here at Urban Life we believe that the long term success of our business lies in providing a full package service to our clients to meet their needs. From helping first-time buyers get on the property ladder, to managing several properties for landlords and developers, we have the experience and contacts to help you every step of the way. We know every client is as different as every house so we built our company to be as flexible and adaptable as our clients require. Within a very short period, from one recommendation to the next, Urban Life has grown to become one of the leading sales and lettings companies in the London area. And this is all due to the fantastic client base we have, YOU! We are always looking to build new relationships and constantly improve our existing ones. Call us now on 0208 808 0242 now and see what we can do for you. Urban Life uses the latest technology to stay one step ahead of our competitors, ensuring our clients get the maximum benefit out of our services. With advanced property indexing and listing facilities, state of the art website, online marketing, print advertising and much more, we enable our clients to find what they are looking for efficiently and effectively. We are always researching new ways to improve our existing systems and provide our clients with ‘peace of mind’ in this ever challenging and ever changing industry. Urban Life Estates are proud to have established its dominance in the estate agency industry thanks to referrals and recommendations. We love our job and we want to provide the best service possible. We always welcome feedback from our clients on our standards and share them openly with any potential client.